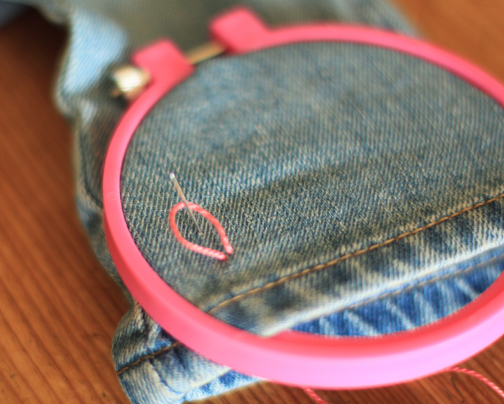 My daughter has the cutest pair of patch worked and embroidered Baby Gap jeans that my friend found at a garage sale. She is about to grow out of them and I am so sad to see them go, so I decided to make her a new pair. I found a pair of jeans her size on sale for $7. 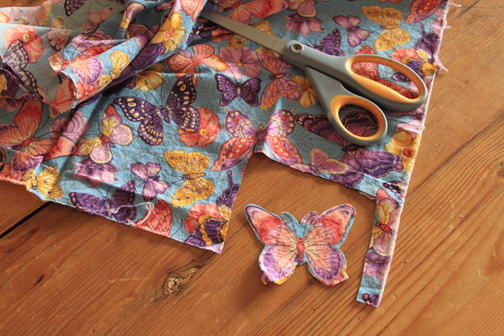 Then I dug out some fabric from my pile of pretties that I am always dying to find a use for. I cut out a shape from the fabric and stitched it onto the jeans. I like DNC Pearl embroidery floss for the stitch work because I like to see the irregularity of the stitching, but you could use thread or a machine if you want a neater look. 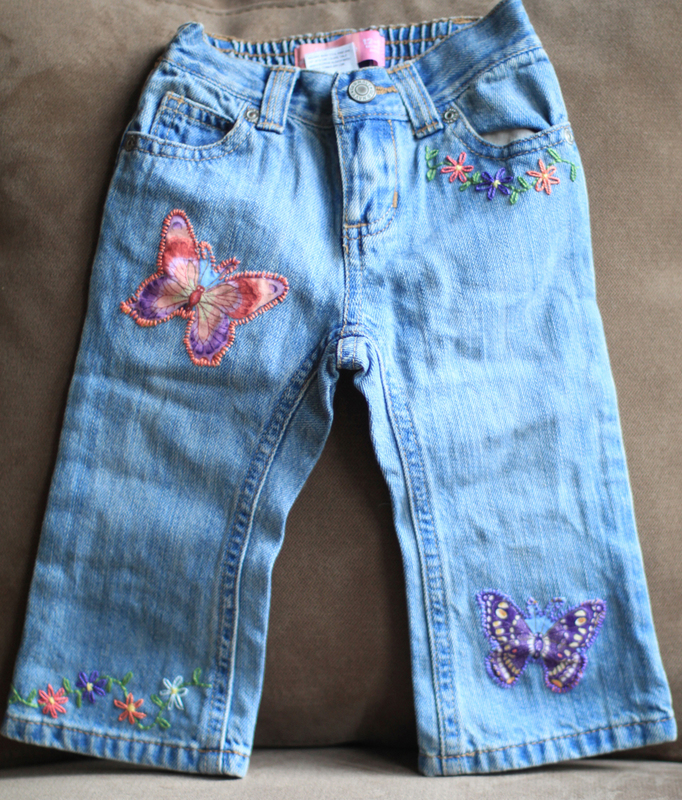 I wasn’t satisfied with just the butterflies and wanted to add a little more flare so I embroidered some flowers onto the jeans as well. The Lazy Daisy stitch is so easy to do. I included a scan from an embroidery book so you can see how it is done. I love my little girl in jeans like these- so original and cute!